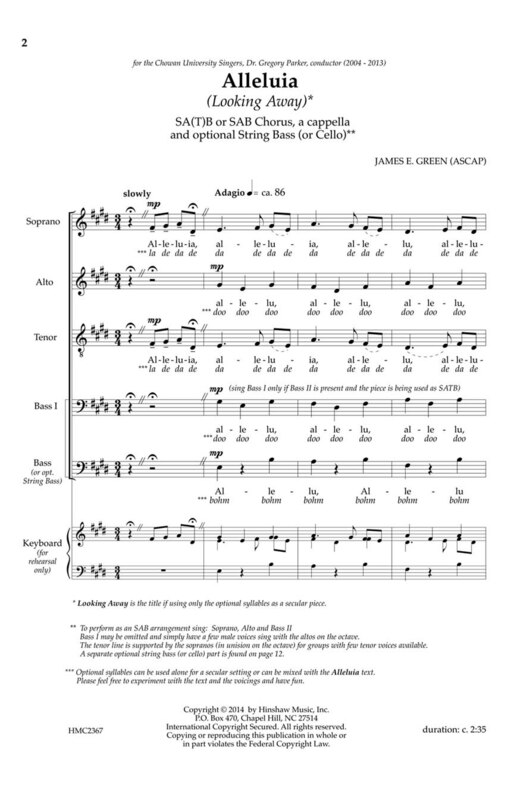 James Green has long been associated with Hinshaw Music. 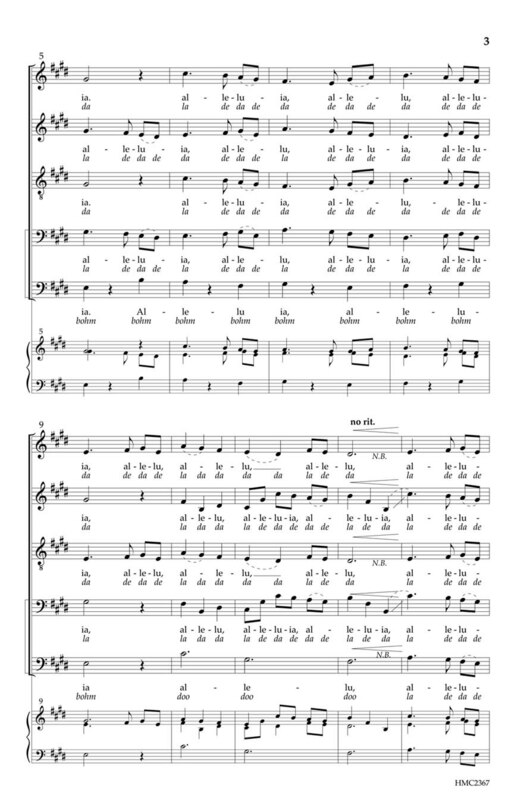 His unique piece for mixed voices (SATB or SAB) a cappella has texts for either secular or sacred venues. The use of optional string bass of cello would provide a very appealing rhythmic and color component.Difficulty Level: Medium Adult.